In this Blog Post, we’ll be covering the 10 Best Toys For 3 Year Old Boys. The right toys encourage kids to be constantly curious. Without them, kids would just remain glued to the TV for hours. 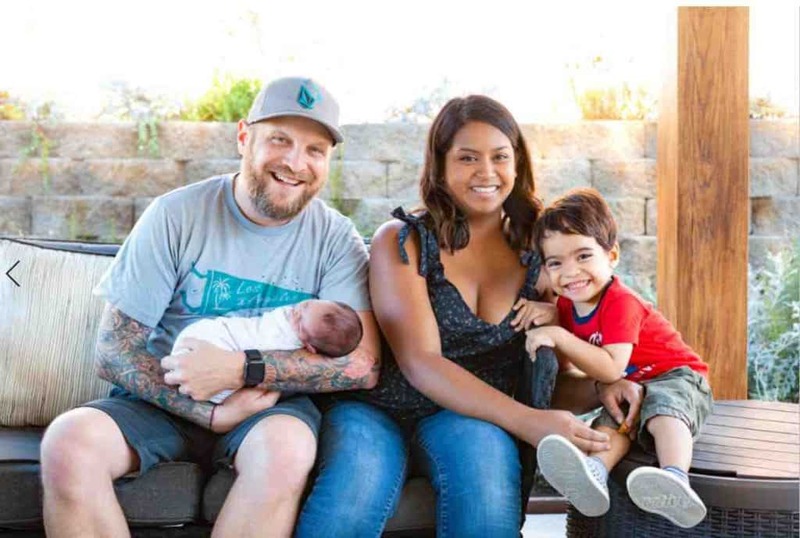 At Snugbaby, we encourage kids as well as parents to be creators, not just consumers. Soooooo, we’ve come up with a list of the best toys for 3 year old boys. These toys hold immense appeal for toddlers and will contribute towards a happy childhood with plenty of fond memories. Many parents prefer tricycles and bicycles as they provide physical exercise. While this is true, a battery operated electric car is as close to a real car that a toddler can drive. It is great for kids’ self esteem. These cars come in various body styles and are studded with hosts of features such as mp3 players, lights etc. Most importantly, they are fairly safe (under adult supervision). They have electric brakes and gradual acceleration for a jerk-free ride. Most models also come with 5 point safety harnesses. The average speed is between 2 to 5 miles per hour. Next in our list of The Best Toys for 3 Year Old Boys, THIS is a cool, inexpensive gift for toddlers aged 3 and up. Works equally well for both girls and boys. Kinetic sand is like slime – except that its not slime. It’s sand. It does not stick to kids and other surfaces – which makes it easy to clean. It sticks to itself and can be moulded, squeezed and stretched to create sand structures. It holds its shape when pressed. The sand is non-toxic and although it’s not an alternative to a beach or a sand pit, it is much less messy and great fun nonetheless. Note: Not suitable for kids less than 3 years old. Should not be swallowed. This robust trike is three year old boy’s equivalent of a Harley Davidson. They freaking LOVE it! BUT, kids being kids, get tired of riding after a few hundred meters and the parent then has to haul the trike all the way back to house. Radio Flyer has circumvented this problem by adding a removable parent steering handle, which transforms the trike into the coolest stroller on the block! The pedals lock into place and act as footrests while the trike is in ‘parent mode’. If you’re looking for a more conventional trike without the handle, check this one out. It comes with funky decals and Harley Davidson badging that adds to its visual appeal. The trike requires kids to flex their muscles. This IQ Builder requires flexing the mind. Think of it as a really smart version of Lego. What’s really unique about this toy though, is that it envisages a concept known as STEM learning (Science, Technology, Engineering & Mathematics). It coaxes kids to tap into their analytical abilities in a fun way. 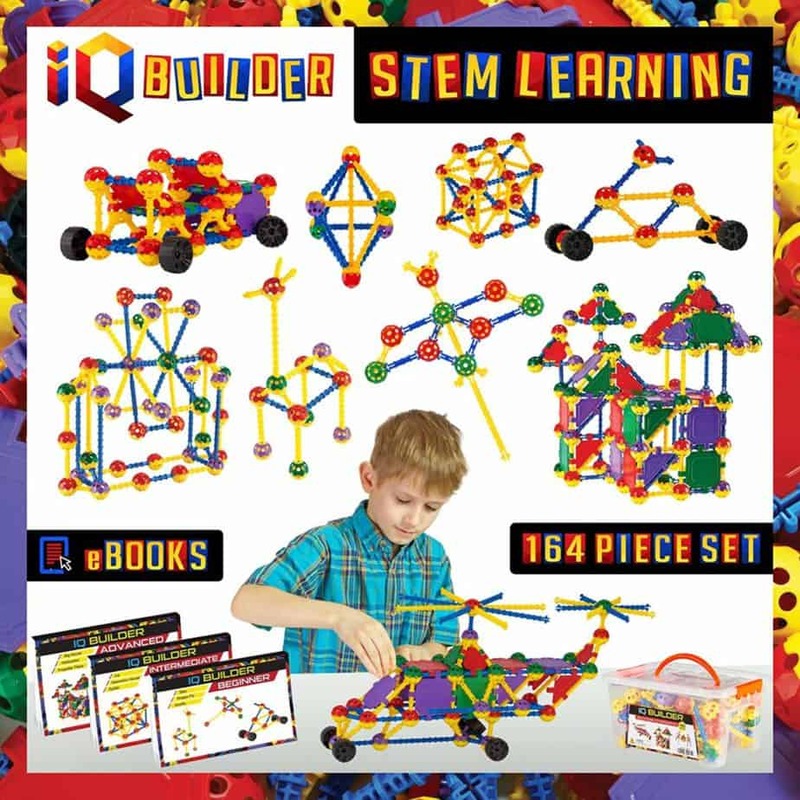 A hallmark of this IQ builder is that instead of handing out ready made toys to kids (read instant gratification), it gives them all the raw material needed to build them! It teaches them to enjoy the process of creating. Children love playing with this toy even when they become grown ups and it’s suitable for both boys as well as girls. This makes it a great gift and to top it all, it’s quite inexpensive too! These kid-friendly binoculars offer 8x high resolution magnification and are built to last. They are priced very reasonably and even though the box says ages 3 and up, they are not bad for adults too! They have a simple folding mechanism to adjust eye to eye distance and are easy to focus, even for toddlers. These binoculars are perfect for observing birds and animals. They encourage nature exploration and come in quite handy at games and concerts. These are so tempting that even adults cannot resist the urge to give them a go! (Be careful, there’s a maximum weight limit) The Gonge Riverstones take their inspiration from actual river stones. The idea is to place them apart on the floor and then step from one stone onto the other. These Riverstones help to improve balance and mind-body co-ordination. Kids really like to play with these, especially with their friends. (Don’t worry, the ‘stones’ do not slip thanks to rubber rims). The rims also prevent scratches on indoor surfaces. The pack contains 6 stones – 3 large and three small. Kids (or their parents) can place them apart to create mini obstacle courses. Manufacturer recommended age is 3 to 15 years. A stone can withstand a maximum weight of 110 pounds. They’re simple, but trust me – your kid(s) will love em! Read the reviews here and see for yourself! If you live in an urban setting, chances are that your kids hardly ever come across brooks and streams. While nothing can replace the joy of jumping over actual riverstones, these come pretty close and they’re safe too. This portable indoor/outdoor tent comes with either a lace or camo window. So, it’s great for three year old girls as well as boys. Looks really cool (or pretty) and is great for barbecues, sleep-overs, picnics, outings, playtime and even in the bedroom. This tent brings out the adventurer in kids. It stands 5 feet tall and can hold one to three kids. 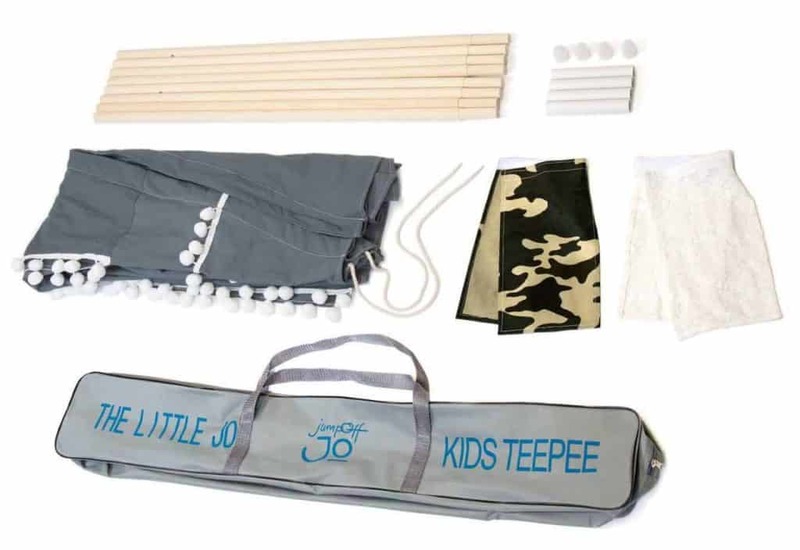 Kids love the Teepee tent so much they pretty much do everything in it – from reading to sleeping. Boys also love to show off the tent to their friends. So prepare to have frequent kids’ gatherings in your living room! The Little Jo tent is easy to assemble and dismantle. It has a pocket on the inside for toys and books. A rubber base prevents slipping and the 100% cotton canvas is easy to clean. Even though the tent doesn’t cost much, it looks and feels like a ‘big’ and memorable gift! Do you remember holding a magnet for the first time in your life? It was fascinating, wasn’t it? Now imagine having 120 colorful magnet tiles of various shapes and sizes! Kids get instantly hooked on to these magnet building tiles, which can be used to build anything – from skyscrapers and castles to trucks and boats. The set contains squares, triangles, bases, arches, wheels and lots more. Magnet tiles keep kids busy for hours. Many kids who already play with them like to insert little lights into the structures that they build. So instead of a normal castle, they create a glowing one! These tiles help kids to think logically and teach them the value of patience. Kids love electronic gadgets but they problem is that they can drop and damage them. Hence, it makes little sense to give them smartphones and expensive cameras meant for adults. The Vtech Kidizoom is the perfect camera for three year olds. It is a real 2.0 megapixel camera with 4x digital zoom. It has a robust build to protect against falls. It’s not costly so even if your a toddler does somehow manage to damage it, it’s not really a big deal. The camera comes with 4 apps and 35 special effects. Photos can be downloaded to a computer for viewing and there’s an inbuilt SD card slot. Get yours at, you guessed it – Amazon.com! This toy needs no introduction. It is as addictive for adults as it is for kids. There is just something thrilling about watching cars buzz through loops and tracks at top speed. This particular set includes 16 feet of track with 4-way loops and crash zones. Our three year old son Steven goes CRAZY for anything Thomas The Train Related, or just trains in General! With that being said, We hope you enjoyed going through the best toys 3 year old boys. Be sure to check out our list of the best toys for 3 year old girls as well!